The Yoredale Way is a 73-mile, six day long distance walk that follows the course of the River Ure, from its source on the high fells in the Yorkshire Dales National Park above Kirkby Stephen, to the village of Boroughbridge. The new guide book includes a planning section with accommodation guide, town facilities, advice and guidance. It includes a detailed route guide with walking directions and a set of annotated maps. The book is peppered with items of local and historical interest, helping to add context to the buildings, bridges and villages along the Way. The other Rivers Trilogy books can be found on this page. We leave Kirkby Stephen following the River Eden for a short distance to Nateby. From here we climb the pathless slope of High Pike Hill to reach the ridge above Mallerstang. We follow this stunning high path, across High Seat and Hugh Seat to seek out the source of the Ure on Sails Fell. We then follow the young river as it runs downhill towards the valley below. We rejoin the low route near Hell Gill and follow a good path along The High Way and down to our first night’s stop at Garsdale Head. We leave Kirkby Stephen following the River Eden, through Nateby and out into the splendour of the Mallerstang Valley. We pass fortified manor houses and old castles, entwined with ancient legends, before climbing up the lower slopes of the Mallerstang ridge, home to the source of the Rivers Ure and Eden. An airy walk along a lofty plateau provide great views down into the valley before reaching Hell Gill, also steeped in myth. The high route joins us here and together we follow a good path along The High Way and down to our first night’s stop at Garsdale Head. Today we enter Upper Wensleydale proper; initially through rough sheep pasture, following the Ure as best we can before dropping down to cross the main road in the valley and pick up a riverside path into Hawes, the highest market town in England. 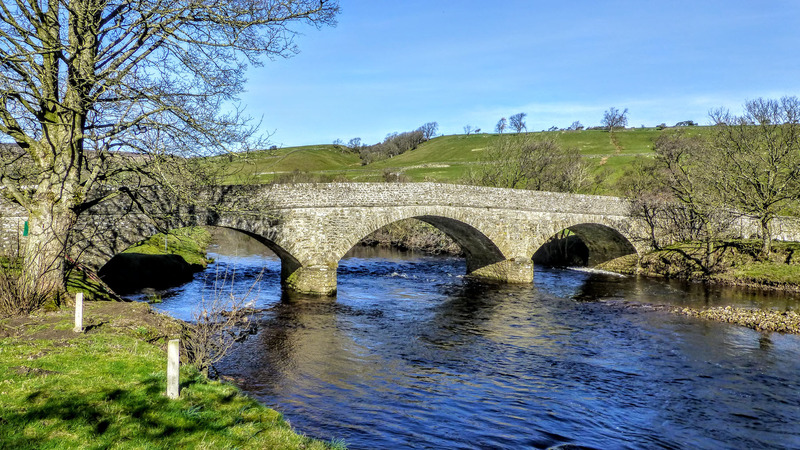 In the afternoon, we cross to the other side of the Ure and use hay meadows bright with flowers in the summer, quiet tracks and a disused railway line to make our way to Askrigg, famous for its James Herriot connections. The first half of today’s walk is shared by both the high and low routes into Middleham. We leave Askrigg and continue to use the old railway line that served Wensleydale, before leaving it in favour of a path that hugs the Ure, through sheep pastures and hay meadows. At Aysgarth we find white water in the Falls and a little further on we make a decision; high or low. An ascent to the old beacon on Penhill is rewarded with incredible views up and down the valley. After walking along the edge of Penhill, we begin a gentle descent across the horse racing gallops on the moors above Middleham, into the village where we find the castle of the young Richard III. The path through the valley, beside the river is splendid and we see aspects of the river not evident anywhere else. The river looks remote and rugged, yet our path is easily navigable and safe in even the worst weather. 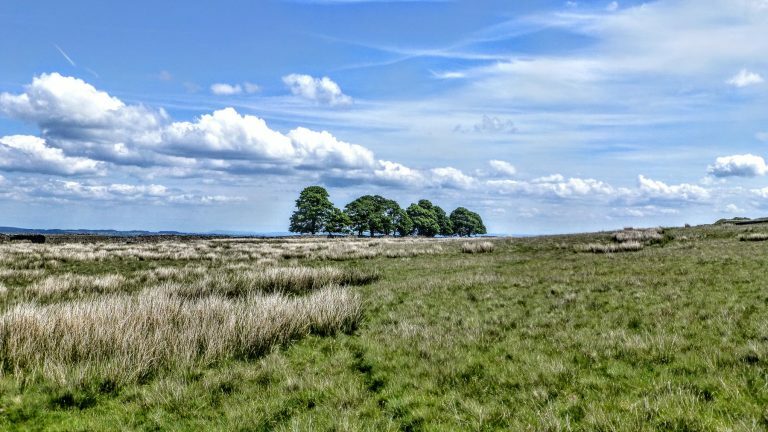 We visit shady woods and pass the village of Wensley, the place that gave the valley its name, before arriving in Middleham, famous for its castle and its association with race horses. We leave Wensleydale behind today, following the Ure through lush pastures and rich farmland, shady woodland and historic parkland. We start beside the River Cover before joining the Ure again to discover historic Jervaulx Abbey. Riverside paths are in short supply and there are many wide meanders, so we use side tracks and get occasional brushes with the Ure until we step out of High Mains Farm and rejoin it in some style, all the way into the Yorkshire brewing hotspot of Masham. Unlike yesterday, we spend a good part of today with sight of, or within a stones-throw of the river. We enjoy lovely riverside paths all the way to Hackfall Woods where the river becomes a sideshow compared to the lovely woodland. A spot of lunch in West Tanfield is followed by more riverside paths, at least until they run out. We then continue along quite farm tracks and little used tarmac lanes to meet the river again for the last couple of miles into Ripon. A short final section into the historic market town of Boroughbridge begins beside the Ripon Canal, a worthy stand-in for the Ure which is mostly inaccessible to walkers at this point. As soon as we can we are reunited though and today’s riverside paths are some of the best, with views to a historic country estate and more wonderful woodland. The lack of a bridge means we have to finish through the quiet village of Roecliffe and a visit to the ancient standing stones of the Devil’s Arrows, before arriving at journey’s end.